“Be the change you wish to see in the world”. This saying has been attributed to Mahatma Gandhi, although documentation seems to show that someone, somewhere along the way took something Gandhi said and abbreviated it into this soundbite. Never-the-less, the saying has meaning in the sound bite world of 2016. Ever since I knew I was going to be writing on this saying, I have been mulling it over in my mind. The first word that jumps out to me is “BE”. If I wish to see change – I need to be consistent with and congruent with that change. I must live it, embody it. I must BE it. It must be part of my BE-ing. Let’s say I wish to see peace in the world, I must BE peace. As long as there is ‘war’ or conflict in me, or between me and my neighbor (aka anyone in my life or whom I encounter) there is no peace. This includes the driver who cut me off in traffic, the mass murderer I judge, the politician I abhor, the co-worker who irritates me, the lover who betrayed me…. How can I expect 7+ billion people to accomplish what I on my own, have not been able to master? So, as the song says, “Let there be peace on earth and let it begin with me.” I could argue that it both begins and ends with me. At least my peace does. So let’s say I master peace in my life. And let’s further assume I didn’t have to isolate myself on a mountain top to accomplish it. I can even maintain the peace. Now what? This takes us to the second word that jumps out of the saying – “CHANGE”. What change do I wish to BE, to see? What change do YOU wish to see? Be? For the change I envision, I am the change-agent. There was already a Mahatma Gandhi, a Martin Luther King, a Rosa Parks, a Mother Theresa. The position for me to fill, is my own. For this, I am the only one who can be it. I am the only one who can do it. Take action based on my BE-ing. This is arguably the most powerful thing we can do in this world – take action from our BE-ing. What action should I take? What action do I feel called to take? How about you? Are you willing to DO what it takes, from BE-ing, to see your change through? Am I? The third word that jumps out for me is “WORLD”. This word speaks to tangible results – in the world. It speaks to community – local or global – all the people whose names I mentioned made massive changes in the world and had community committed to change. While it took one to spark the flame, it took many to maintain it. What is your action? Who are your ‘peeps’, your supporters? Insight alone won’t make change. Action alone won’t make change. You need both the insight plus the action – the being and the doing. 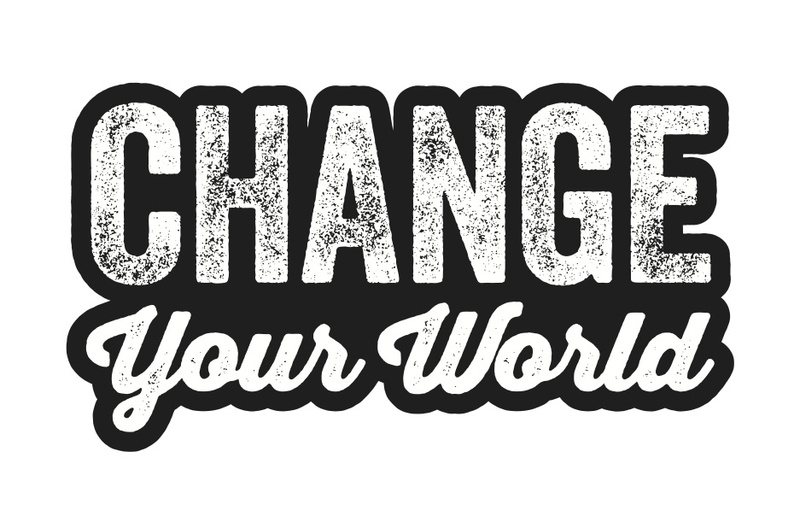 Then you have a chance to change YOUR world and maybe even THE world! Older PostHot Yoga and YOU!